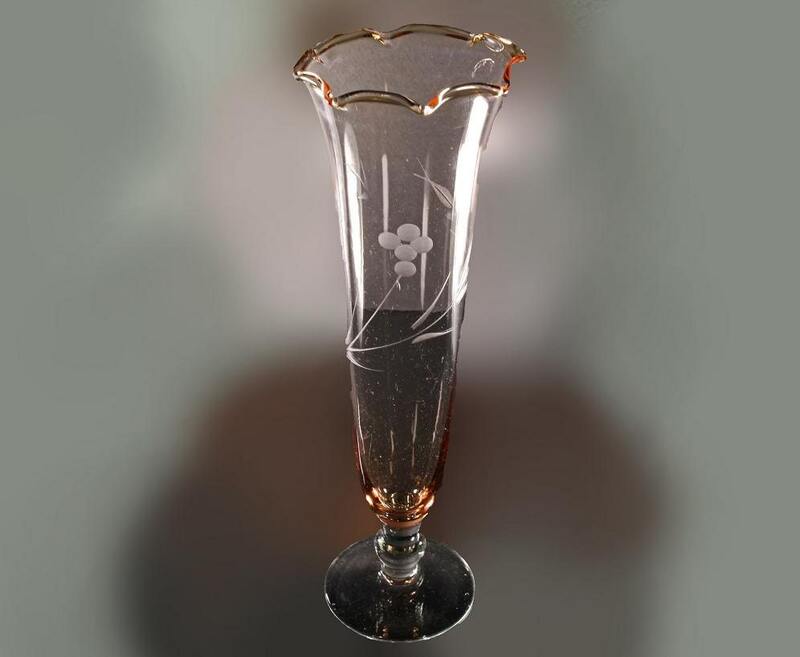 This vintage orange hand blown etched glass vase is very beautiful. 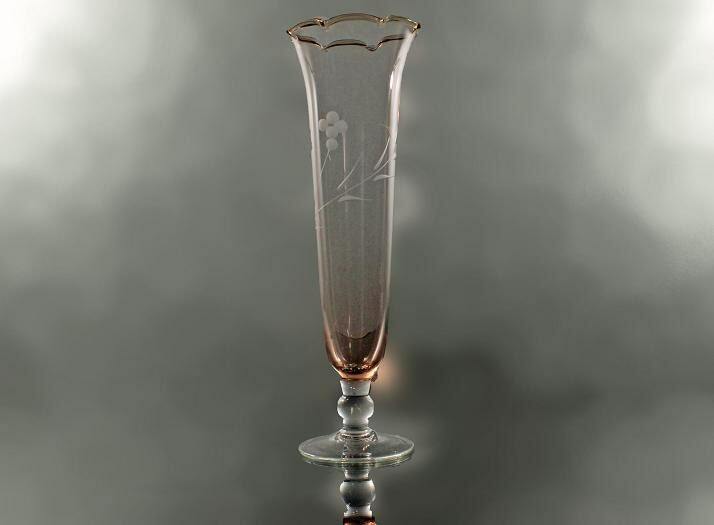 It has some bubbles and imperfections that lend it character and is due to being hand blown. 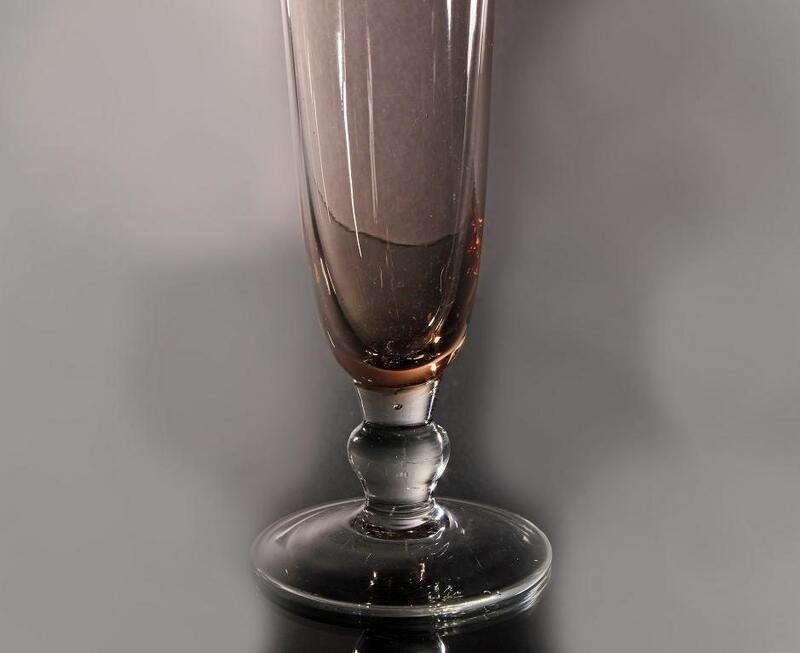 The orange coloring is darker at the bottom of the vase. 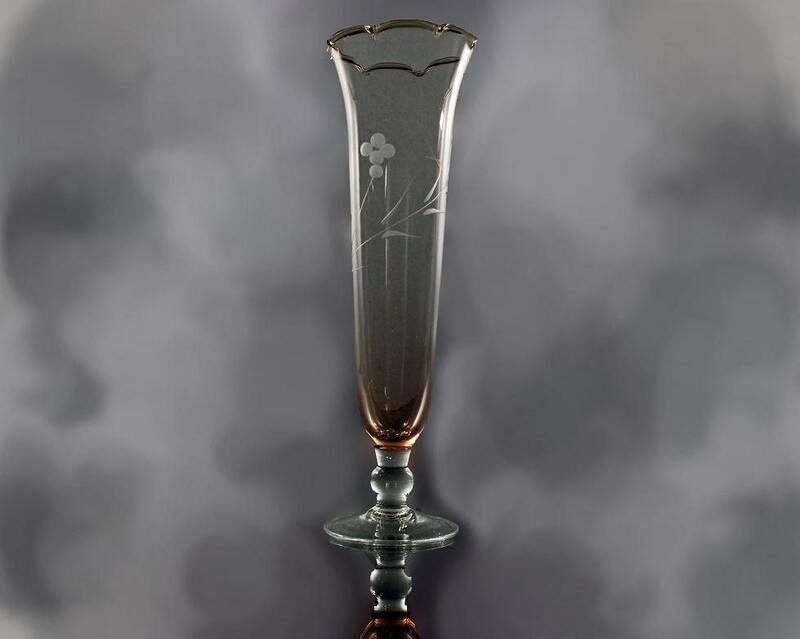 It is etched with flowers around the outside. This is a vintage vase but is in great condition. It has no chips or cracks. A perfect bud vase for those treasures from your garden. This dates from the 1960's. Size: Full Height 8 1/2 inches, Height above pedestal 7 inches. Opening at the top 2 1/2 inches. 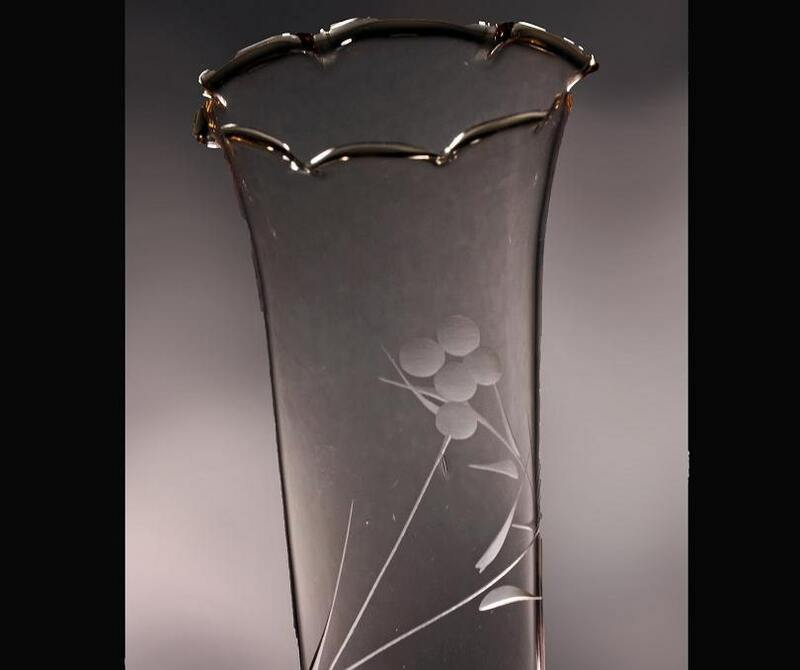 A great hand blown vase to display flowers at their best. Just a wonderful item and perfect gift idea.